Farmers’ Market Open for the season! The Shelburne Farmers’ Market opened last Thursday, May 21st across from Trinity United Church at Owen Sound Street. The was a wide-variety of items for sale. The Market will be open every Thursday, from 3–7 p.m. until Thanksgiving. (Left to right) Farmers’ Market Committee Jodi Jones, Shawnette Crouse, A.J. Cavey, and Chair Joe Lemieux cut the ribbon to officially open the market on Thursday June 21st at First and Owen Sound Street. 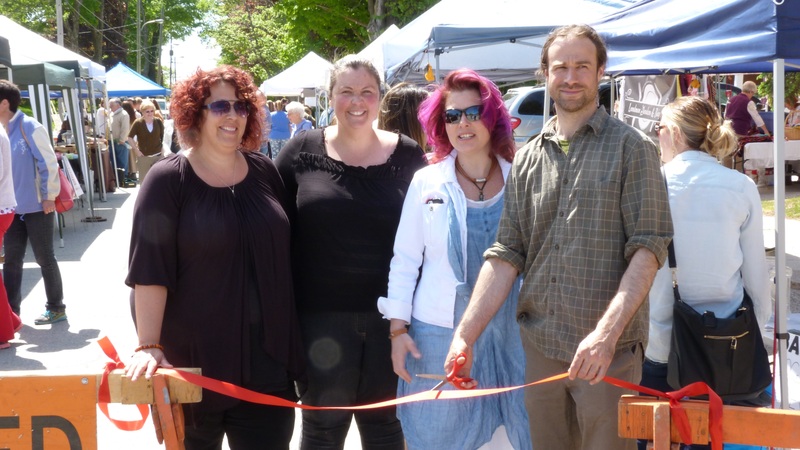 The market moved into the downtown core of Shelburne to become more accessible to residents and increase business traffic. Joe Lemieux reported a very successful start to the season with excellent crowds and receipts. Vendor’s produce included baked goods, meats, fresh vegetables, maple syrup, honey, Indian cuisine, catering, crafts, art, and balloon and face painting for the kids. 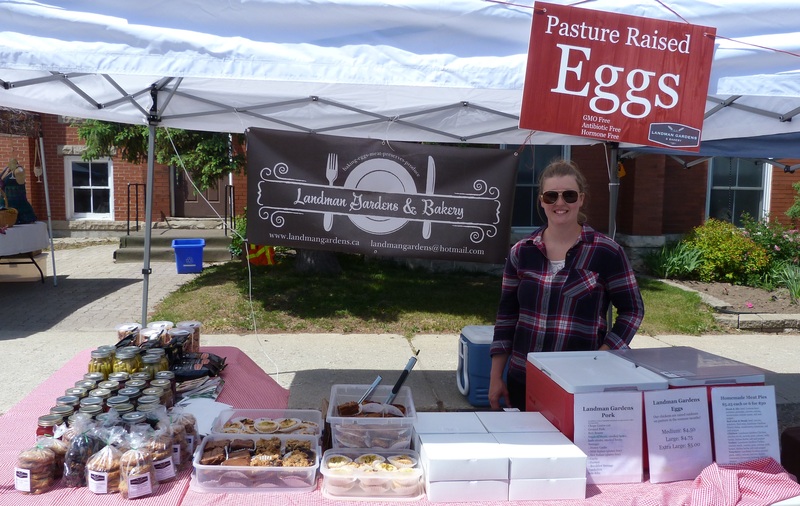 Landman Gardens and Bakery served up fresh baked goods, preserves, eggs and meat to customers eager to purchase fresh locally grown food at Shelburne Farmer’s Market new location at First and Owen Sound Streets. Landman’s was one of many tented vendors delivering delicious produce at the market, including Besley’s Farm, Kidd’s Farm, Leitches’ Honey, Hands On Catering, and many more. The market will run in its new location every Thursday from 3–7 p.m. throughout the growing season.